Kia and Mojo Mobility have jointly developed a wireless charging system offering charging speeds up to 10 kiloWatts, at 85% efficiency. Wireless charging does not require the car be plugged into a wired connection for charging, of course, simplifying the charging experience. Instead of transferring electricity over a wired connection, wireless charging uses electromagnetic fields to send electricity to a receptor coil mounted on the car. 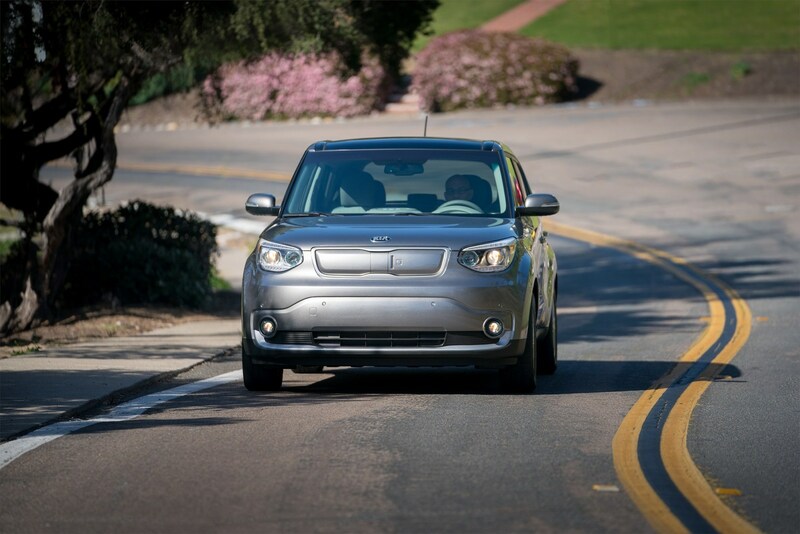 Five Soul EV&apos;s were used in the project, which saw real-world durability, safety and performance testing. SUPERIOR TWP., Mich., April 10, 2018 /PRNewswire/ -- Marking an important step in the future of electric vehicles, the Hyundai-Kia America Technical Center, Inc. (HATCI) and Mojo Mobility, Inc. (Mojo) have completed a three-year project to develop a fast-charging wireless power transfer system on a test fleet of Kia Soul EVs. The project, in collaboration with the U.S. Department of Energy&apos;s Office of Energy Efficiency and Renewable Energy, paves the way for the future of electric vehicles in which plugs are no longer necessary. The system works by using an electromagnetic field to transfer energy between two coils—a transmitter on the ground and a receiver on the bottom of the vehicle. The driver simply parks the car above the transmitter to begin charging and then energy is sent through an inductive coupling to an electrical device, which uses that energy to charge the electric vehicles&apos; battery. The system is so efficient it will allow some misalignment between the transmitter and the receiver, making it easier and more convenient for owner&apos;s day-to-day use. "We&apos;re thrilled with the success of the system and its efficiency," said William Freels, HATCI President. "We set out to develop wireless charging that has real world applications and is easy to use for the consumer. Now, with this fleet of wireless Soul EVs, we can clearly see a future of unplugged electric vehicles." As one of Hyundai Motor Group&apos;s (HMG) six centers focused on research and development (R&D), HATCI was established in 1986 in Ann Arbor, Michigan. HATCI is HMG&apos;s design, technology and engineering division for North America. As HMG solidified its position as one of the top five global OEMs, HATCI has grown to include a strong network of engineering disciplines and increased business-focused activities to support North America&apos;s Voice of the Customer. HATCI supports new model development for HMG&apos;s North American operations and global programs from our dedicated engineering facilities and support staff at affiliate sites located throughout the United States (Alabama, California, Georgia, and Michigan). HATCI&apos;s success in satisfying the demands of increasingly sophisticated consumers is a direct result of HMG&apos;s commitment to the future of American automotive engineering. HATCI upholds a strong R&D philosophy hinged on creative and passionate input of all team members. This philosophy is paramount to HMG&apos;s North American operational strategy and serves as the foundation for engineering excellence and technological advancement. Mojo is a privately-held company specializing in wireless power charging systems for mobile applications ranging from wearables, mobile phones, tablets and laptops to high-power Electric Vehicles. Mojo has been at the forefront of the development of wireless power technologies allowing customers to charge and power their products intuitively and easily in a variety of environments. Mojo&apos;s unique proprietary Near Field Power® places Mojo ahead of its competitors by providing unsurpassed performance, cost, user experience, and power transfer efficiencies. 1. : Wireless vehicle charging currently not available on production Soul EV vehicles.